2 buttons + felt washers for S-Locks. Picture shows only Nickel version. Silent feature only in combination with S-Lock lock. We recommend to select the strap button first according to the size of the existing hole in the guitar. To do this, carefully turn the strap button into the wood and, if the train is too tight, unscrew it again and drill it up successively. If the strap button can be screwed in too easily, reduce or close the hole and then re-drill. 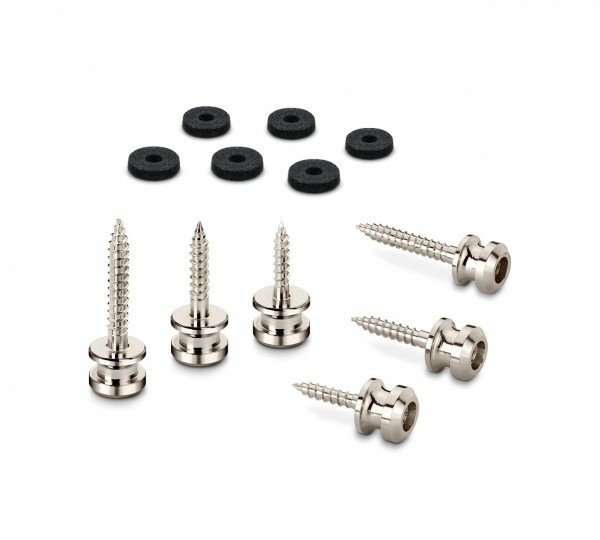 Please check the secure fit of the strap button in the wood regularly as with any other screw connection and if necessary retighten the screw or as described reduce or close an enlarged hole and re-drill.